There could be a number of service providers who are not updated on the GST law. Some maybe hearing rumours that many changes are expected. However 1 month has passed. Those service providers who were enjoying the exemption would be in shock if they continue not to collect the GST applicable normally at 18%. If one does not collect and pay the impact maybe as high as 25% along with the interest and penalty in later years. 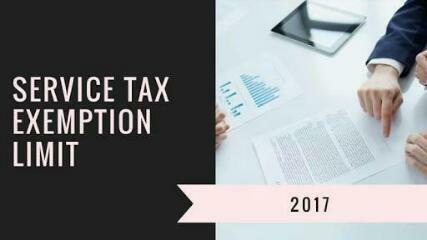 In this article we examine what exemptions have been done away with in the GST regime. Sale of goods amount to Supply as defined under Sec 7 of the CGST Act and hence Taxable. Trading of goods was not subject to Sales Tax/VAT and hence not liable for Service Tax due constitutional restriction on Central to levy tax on State matters. However now the Constitution being amended to enable both State and Centre to levy tax on sale of goods and accordingly GST would be applicable on sale of goods unless specifically exempted elsewhere. Services by way of transportation by rail or a vessel from one place in India to another of the chemical fertilizer and oil Cakes, Cotton ginned or baled. Services provided by a goods transport agency, by way of transport in a goods carriage of chemical fertilizer and oil Cakes, Cotton ginned or baled. Deciding the eligibility of exemption would be crucial business decision for any entity. Availing wrong exemption could lead to huge long term demand along with interest and penalty burden and at the same time not availing exemption could impact the competitiveness business and compliance cost. As discussed non-availing eligible exemption could lead to reversal of input tax credit when demanded by department which would be a major threat for any business to survive. Hence, assessee and professional suggesting their clients need to make sure the compliance from all the corners of law.